Following on from our Tie Factory Visit, the next stop was our Sunglasses Factory. 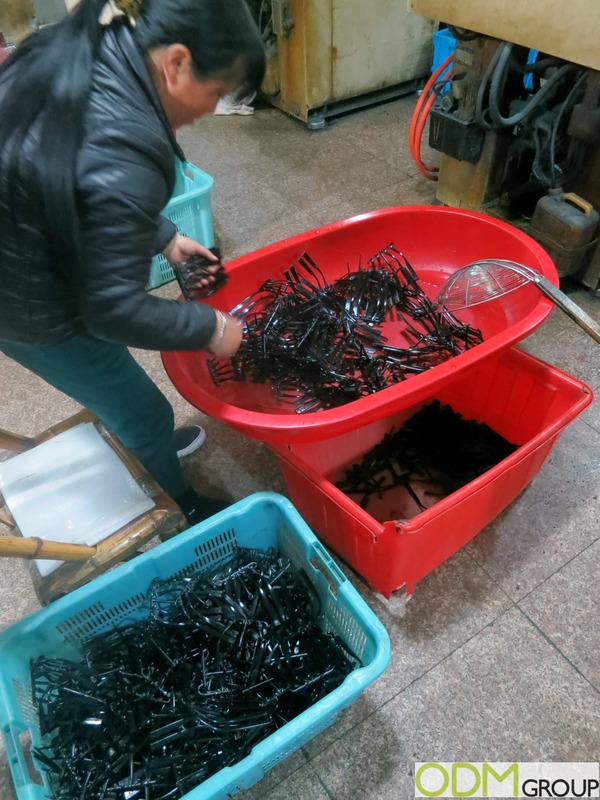 This Sunglass Factory is mainly for sampling. 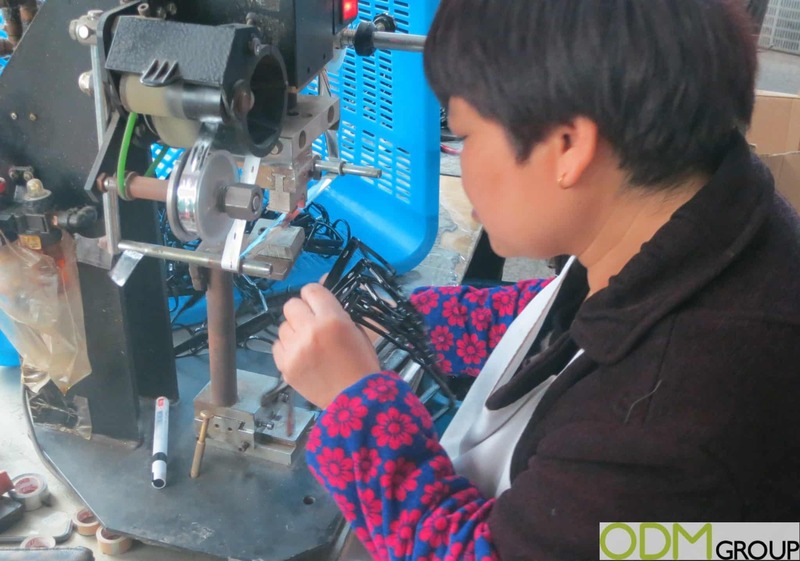 It is important for us to also monitor the production of our samples for clients. This is to ensure consistency and quality products delivered. 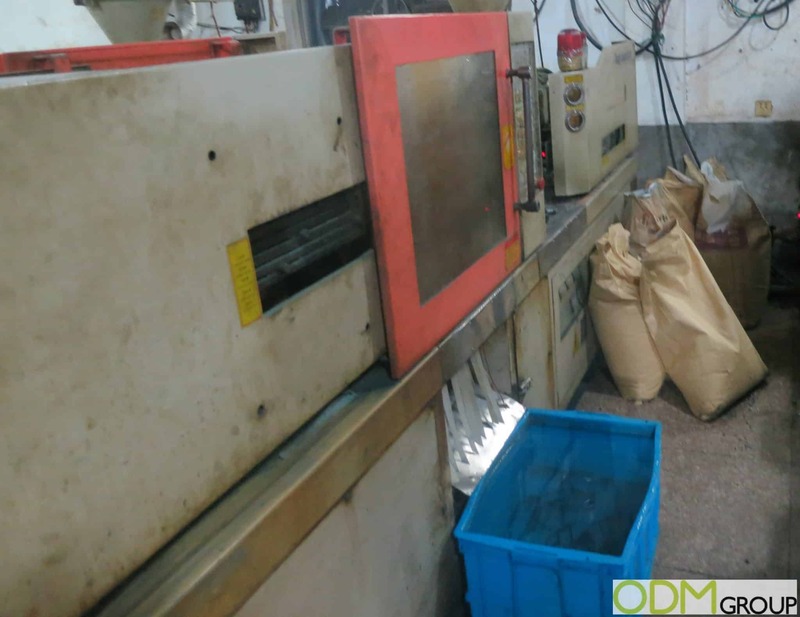 Our aim was to check the production facilities of the factory; to learn more about the production process and to make sure that the production goes smoothly. Production Management and Factory Visits go hand in hand, making sure production runs smoothly without hiccups is important and being in the factory allows for immediate feedback. The very first step when manufacturing sunglasses is deciding on your style. There is a huge range of styles for sunglasses and each style has an individual mould. 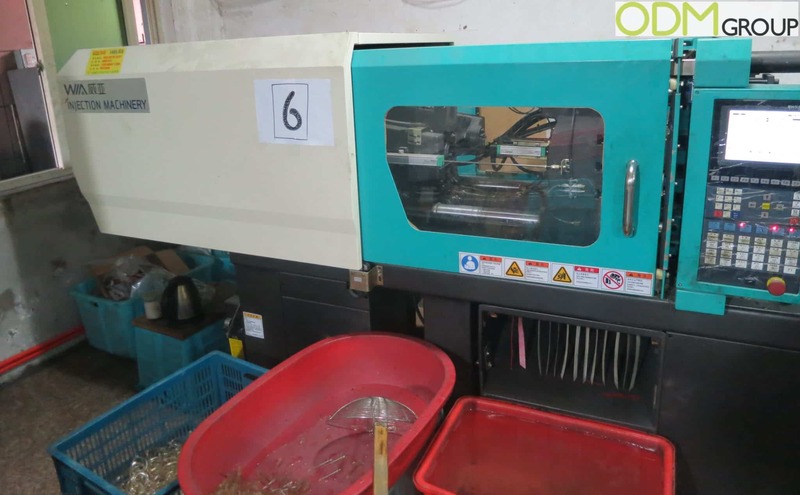 When you have decided on your style, the decided mould is put into an Injection Molding machine. The raw plastic material is added and will be moulded to the decided style. It is at this stage that paint can be added to the raw material mix to give the sunglasses their intended colour or pantone match. The colour will run through the whole frame. When the injection is complete, each frame is dropped into water to cool and retain shape. The injection process will continue until the allocated amount of frames have been created. 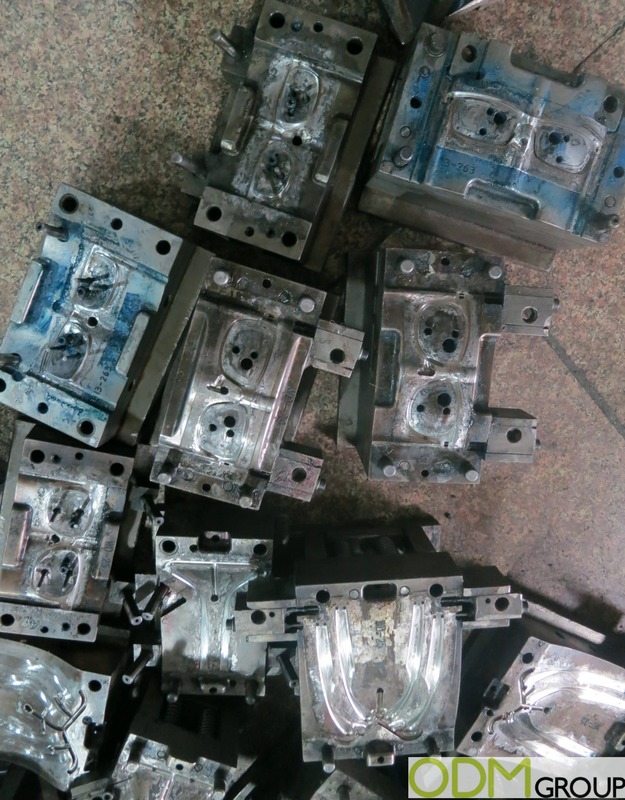 Although the frames have been made, we need to separate the arms from the overall plastic cast the mould injection has created. This is done by hand with the finished frames moved on to the next process where any bumps or imperfections can be smoothed out. 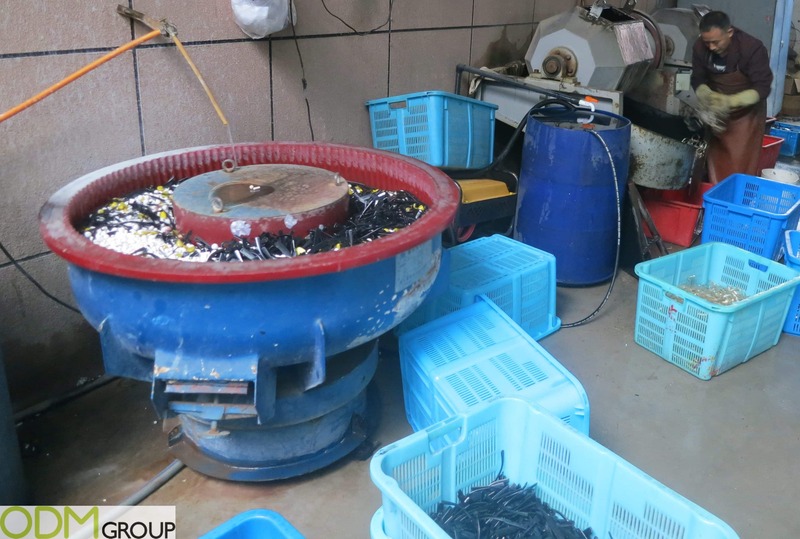 In this polishing stage, the frames are spun and smoothed using stones to remove any imperfections or bumps that have developed during the moulding process. Now, the frames are a step closer to becoming promotional sunglasses. Now we have our completed frames, it is time to assemble and finish the sunglasses. This involves attaching the metal part to the frames as well as branding the information along the arm. Our supplier sources lenses from an external factory and these are sent out to be assembled at our factory. The plastic frames are constructed to hold the lenses in place using tension mount designs. In this type of frame, the lenses can be pressed into their respective openings through the front edge of the frame without falling out its rear edge. The plastic frame material permits sufficient stretching to allow the lenses to snap into these grooves, without snapping themselves. 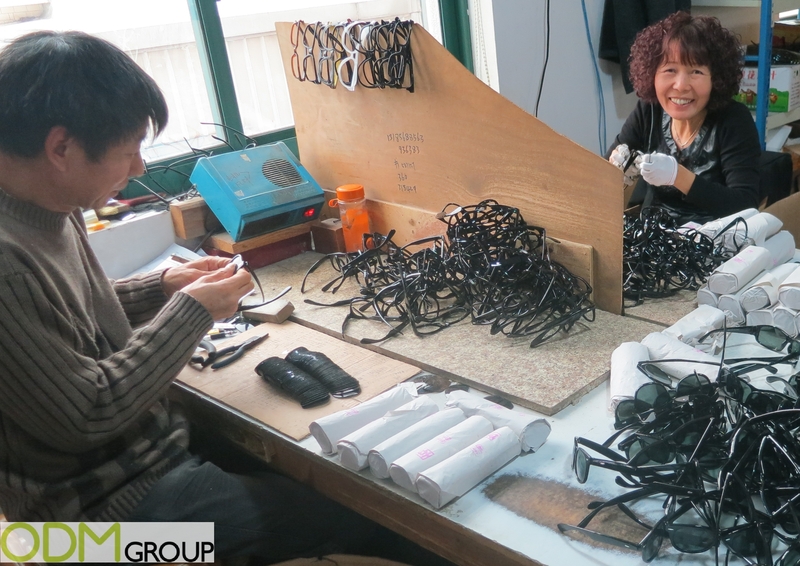 The final step in the production process of promotional sunglasses is packaging. How will you be presenting your sunglasses? In an opp bag or in a paper box? 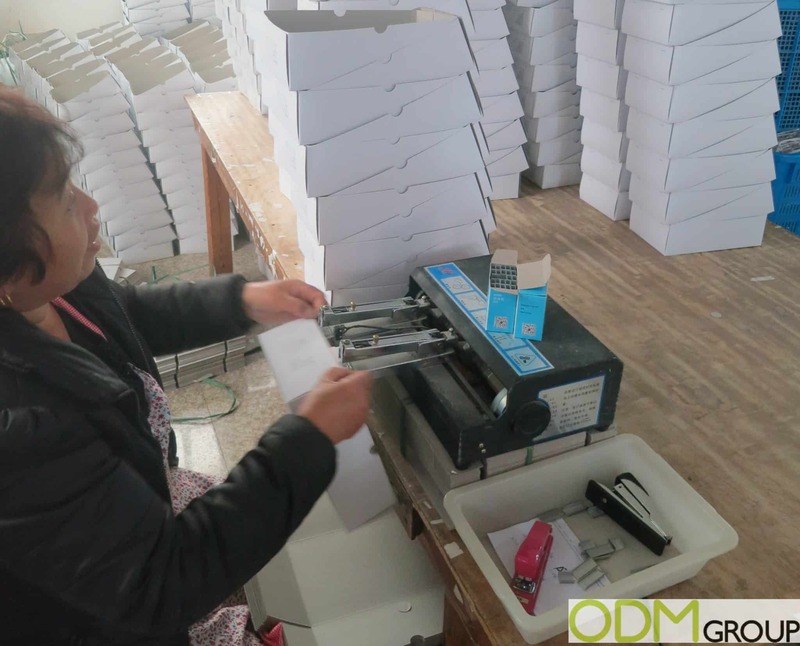 Once the packaging has been completed, all is left is a QC of your products and the production process for sunglasses is complete. Here at ODM, we have years of experience in fabricating promotional products. As shown above, we work closely with multiple suppliers and factories to ensure the production of high-quality promotional products. We make sure to monitor the sample production process so that our clients can have a good idea of what their custom product will look like. We ensure satisfaction in our designing and manufacturing of promotional items and delivering them to you. Enquire @ ODM for more ways and explanation on how you can vastly improve your business. Our product designers will be able to provide you with multiple unique and interesting ideas for you to wow your audience and increase brand recognition. The specialists here are capable of assisting you throughout every process to ensure a pleasant experience. Contact ODM now! Marketing Product – The Color Run’s Sunglasses! Ever heard of double-sided crayons? It is a unique and innovative approach to art materials and we love it! How are these manufactured? What are the costs of it? How can you incorporate these double-sided crayons in your promotional campaign? This blog will answer all these questions – do check it out to find out more!